Your teeth need lifelong support to serve you well throughout the years, and our dental team is definitely up to the task! Dr. Ronan Freyne has been serving patients with highly skilled and personalized care in the Chevy Chase area for 16 years; helping patients avoid common dental problems through quality preventive care is one of the great joys of the job. If it’s been some time since your last checkup or cleaning don’t hesitate to contact our practice today to get started. Unfortunately, even diligent brushers and flossers can end up falling victim to dental problems over time, including ones that aren’t immediately visible to the untrained eye. That’s why scheduling routine appointments with a trusted dentist like Dr. Freyne is so important for patients of all ages. 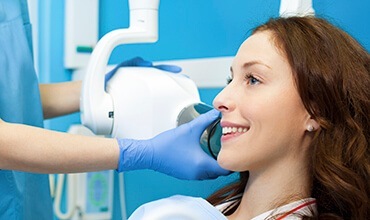 During these visits, he and the rest of our team will carefully inspect every aspect of your current smile, using digital X-rays to gain a comprehensive understanding of the unique issues you’re facing. Then, we can work with you to devise a treatment plan to restore you to optimal oral health. Regularly scheduled cleanings are very important too because constantly gathering plaque is a lifelong threat to healthy tooth structure. If bacteria-filled plaque is allowed to remain on your smile for too long – even if it’s just a small, missed area – it can harden into decay-causing tartar. 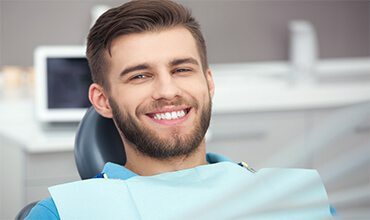 Thankfully, our friendly and experienced hygienists can remove both tartar and plaque from the enamel and gums, leaving your mouth clean and much more refreshed. Despite our best attempts to keep our teeth clean through brushing and flossing, some of the areas of the mouth are notoriously difficult to reach. For instance, many patients (especially children) find it difficult to access the small cracks and deep groves on the chewing surfaces of back teeth, which is a likely area for cavity formation. Thankfully, dental sealants can provide these vulnerable areas with extra protection. Dental sealants are thin, plastic coatings that are applied directly to the chewing surfaces, creating a much smoother surface where food particles and bacteria have a harder time adhering to the tooth. With the help of sealants, patients find it much easier to brush teeth and fight the constant threat of tooth decay. Both children and adults can receive sealants, and they’re likely to last for 3-5 years on average – although it isn’t unheard of for older patients to still have their original sealants from childhood! If you or your child’s sealants come loose or are damaged, please let Dr. Freyne know so that he can reseal them at your next appointment. Do you find yourself constantly waking up in the morning with serious jaw pain, painful headaches, or frustrating earaches? These symptoms may be the cause of a common “bad habit” known as bruxism (teeth grinding/clenching). Surprisingly enough, bruxism is most likely to occur during sleep, which leaves patients unaware of their condition. What’s worse is that untreated cases can eventually result in broken and worn-down teeth. Thankfully, Dr. Freyne can identify the signs of bruxism during your next checkup, and he may also recommend an effective solution: nightguards. 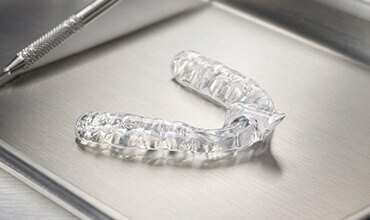 By wearing a custom-made nightguard, patients can prevent dangerous contact between their rows of teeth and rest easier. If you (or your children) regularly participate in sporting events where physical contact with other players or hard objects is a possibility, then wearing a sportsguard is absolutely essential. This oral appliance can protect the vulnerable teeth and gum tissue from serious injury, and our team recommends having a custom device designed right here at Dr. Freyne’s office. 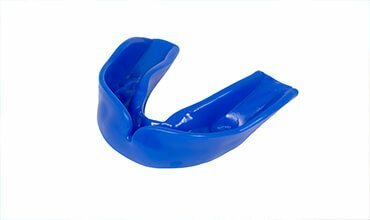 Instead of the “one-size-fits-all” sportsguard from the local store that feels uncomfortable and bulky in the mouth, we can design a guard that’s ideal for your unique smile, providing optimal comfort and stability. Better yet, Dr. Freyne can show you how to properly wear it and clean it so that all you have to worry about at your next game is doing your best. 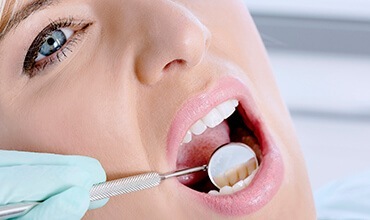 You regularly hear about cavities and gum disease in the dentist’s office – but what about oral cancer? Tens of thousands of oral cancer cases are diagnosed every year, and early intervention is absolutely essential for recovery. That’s why our dental team places such a big emphasis on routine screenings here in Chevy Chase. Fluoride is a very valuable mineral that has been proven through years of research to be effective in preventing tooth decay and cavities. Most patients get all of the fluoride they need by drinking tap water regularly; however, if our team determines that your smile could benefit from more exposure, we may recommend a professional treatment here in Dr. Freyne’s office that only lasts a few minutes. 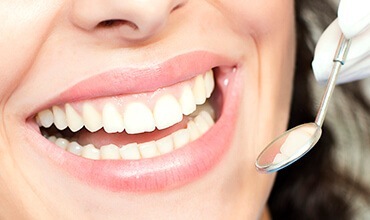 Patients can receive fluoride treatment every three months, six months, or 12 months depending on their unique situation here in Chevy Chase.